Dental insurance is designed to prevent complications from developing in the first place. By keeping your smile healthy, you reduce your long-term costs for care. In fact, every $1 spent on prevention could save you $8 to $50 on restorative or emergency services. You are given a yearly allowance to use toward preventive and restorative treatments to keep your smile healthy. By choosing a dentist who works with your insurance, you will enjoy several services for reduced rates. By paying your monthly premiums, you can get the cleanings, checkups, and x-rays you need for a healthy smile. You can also enjoy other services to protect your teeth and gums from damage as well, including dental sealants, gum disease treatment, mouthguards, and oral cancer screenings. Depending on your specific policy, Aetna may cover these treatments 100% or for a small copayment. By quickly resolving any issues that arise, you lessen the need for a costly or invasive treatment in the future. Aetna offers as much as 50% coverage for minor and major restorative treatments, like tooth-colored fillings, root canal therapy, and dentures. In some cases, you can even use your benefits to cover a portion of the cost of cosmetic procedures. 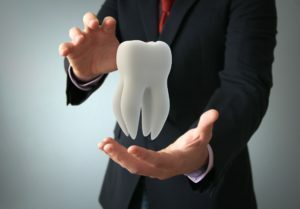 If your Aetna dental provider determines that they will also improve your oral health, they may be covered, like direct bonding or metal-free restorations. To further enhance the appearance of your smile, you can also enjoy veneers and teeth whitening; however, you will need to pay for them out-of-pocket. To cover the expense, your dentist accepts CareCredit to make paying for your beautiful smile affordable. As your oral health needs change throughout life, your dentist maximizes the value of your policy to reduce the amount you need to pay for advanced services, like orthodontics or dental implants. Your policy may also offer coverage for TMJ therapy or sleep apnea. To make the most of your coverage, it is recommended you visit an in-network dentist. This means they have pre-negotiated rates with Aetna to reduce the amount you need to pay. Your dentist works on your behalf with the insurance company to keep your dental care affordable. You can achieve a healthy smile while staying within your budget. Dr. Christopher Capehart provides complete dental care to patients through all stages of life. As an in-network dentist with Aetna, he offers the exact services you need for a healthy smile. He works to keep the care you need affordable, so nothing stands in the way of your oral health goals. Contact our office today to schedule an appointment.